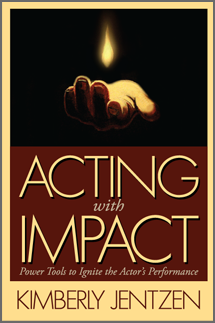 Acting With Impact - New Release! This deck of cards assists actors and everyday people in harnessing and building an emotional range. 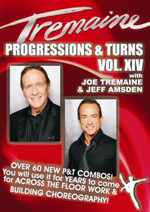 Any actor that wants to strengthen their skill will find these cards a useful and necessary tool. 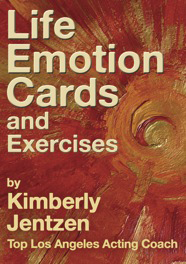 A deck of Emotion Cards contains specifically crafted definitions, exercises, notes and suggestions, including how to “release an emotion that is hanging on.” Understand what moves you to tears, to anger, to joy and many, many more. 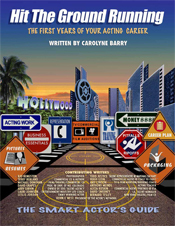 Developing a vocabulary of emotion strengthens your confidence and presence on set, on stage and in life! Guided by Kimberly Jentzen, these three CDs contain creative visualizations to music that stimulate the listener to soar within their imagination!